Jan O. Pedersen began his career at Xerox's Palo Alto Research Center (PARC) where he led a research program on information access technologies. In 1998 Dr. Pedersen joined Infoseek/Go Network, a first generation Internet search engine, as Director of Search and Spidering. In 2002 he joined Alta Vista as Chief Scientist, which was acquired by Yahoo!, where Dr. Pedersen served as Chief Scientist for the Search and Advertising Technology Group. He later joined Microsoft to work on the Bing Search engine, where he was Chief Scientist for Core Search and Technical Fellow. In 2017 Dr. Pedersen joined Twitter as VP for Data Science. 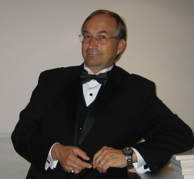 Dr. Pedersen holds a Ph.D. in Statistics from Stanford University and a AB in Statistics from Princeton University. He is credited with more than ten issued patents and has authored more than twenty refereed publications on information access topics, seven of which are in the Special Interest Group on Information Retrieval (SIGIR) proceedings.